Welcome New Rotarians Lisa Capobianco and Irene Lord! 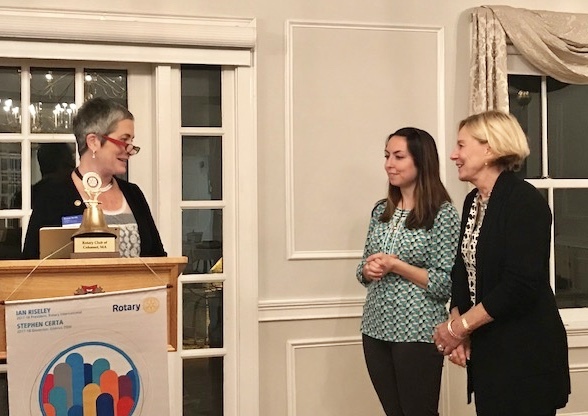 Welcome to our newest Rotarians Lisa Capobianco & Irene Lord who manifest the qualities of head and heart to impart the message of Rotary with all they come in contact with! 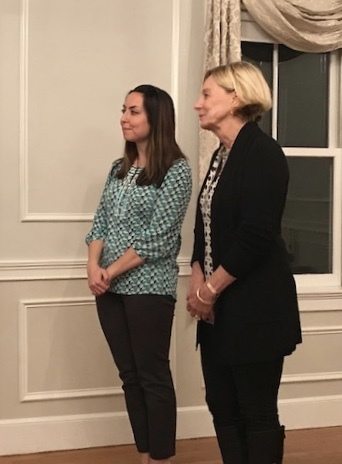 Lisa is an educator and began the Cohasset Interact Club along with Cohasset Rotary Club and is their advisor for the second year. Irene is a well known face in the estate sales field with Lord and Ladies Estate Sales. We feel our organization and it's principals are in good hands with these women as they have embodied the character and service of Rotarian. We look forward to working with them to serve others raising funds and funding project that focus on education, health missions, and teach peace and conflict resolution.